Street Gazing: Street Gazing... Caped, snow day style. 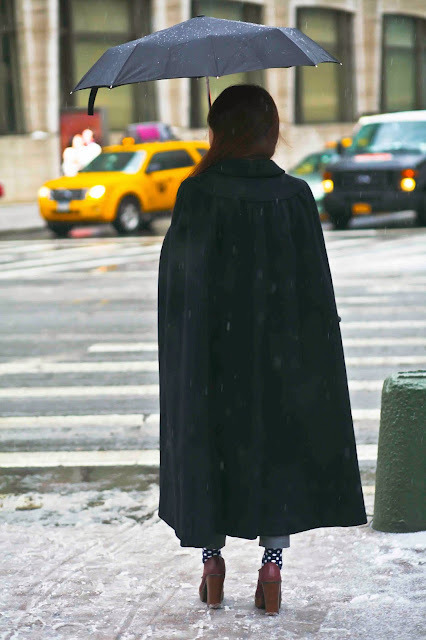 Street Gazing... Caped, snow day style. Love the socks. Nice touch.